Women dye their hair to change your image. 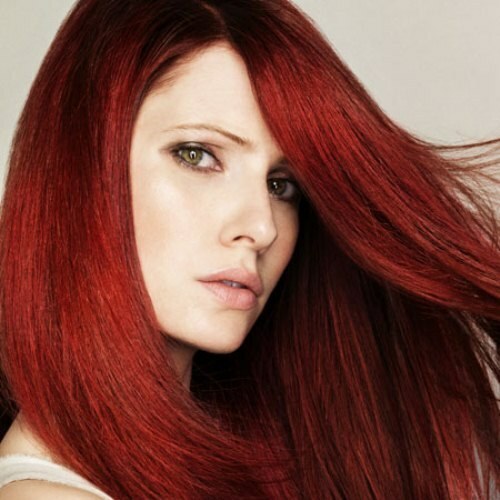 Picking the right hair color can make the eyes brighter, more expressive, complexion – smoother and its shape – perfect. But, unfortunately, you may have and Vice versa. If the color is badly chosen, it can add a dozen years to make any noticeable skin blemishes. It is therefore very important to determine the tone of your hair correctly. Saturation is the natural color of human hair is one of the seven tone levels (some experts distinguish between 10 levels). Moreover, this division is not based on the simplification for the convenience of its determination and the results of scientific research. It is known that the tone depends on the ratio of the pigments in the hair. Most often we are talking about these numbers: 2 – brown, 4 – brown, 5 light brown, 6 dark blonde, 7 blonde, 9 very light blond. Other colors are rare or difficult to see, especially in dark. First of all, you need to determine which number corresponds to your tone. To do this, find the color card with samples of hair strands. Remember that this card must be same brand as paint you intend to use. Bring to the roots of your hair (away from forehead) the light strand from the set. If the hair is darker than this sample, take the following from the map, darker. Stop when you realize that hair color and pattern were a perfect match. Remember this figure. Keep in mind that you need to always start the definition of tone from light to dark, and not Vice versa, otherwise you'll be wrong at least in tone. Start with the basics: single, brunette you have brown hair or blonde. Next is the determination of possible narrow: light or dark brunette (blonde or brunette). The third stage is the correct choice of numbers, which corresponds to your tone. Remember that usually all the people, even professionals, "ServerLayout" hair, i.e. assign them a lighter tone than he really is. When you have found the desired number of colors, to buy the "right" paint is not enough. Stand before a mirror and assess your appearance. Remember that warm shades usually give the face a glow, so if you know that your skin is so pinkish that you are prone to allergic reactions or conversation often blush, reddish shades of hair dye is not for you. Also note the color of the eyes. Red, Golden and other warm hair colours suit people with brown, hazel and green eyes, and bright Golden or cool tones the most are people with white skin and grey or blue eyes. Not to be mistaken with the tone of your hair, and try to determine your color type appearance. It is not enough to know your natural tone. It is also important to understand if you paint a tones. There are four color type: "Spring", "Summer", "Autumn" and "Winter". Women of the spring type can use anything warm, bright and Golden hues (but not strawberry blond), but should avoid cool light colors and black. Summer color type, like spring, don't go dark colors but they can use a cool blond shades. What exactly – depends on the color of the skin and eyes. You have to watch, after clarification does not seem quite colorless. Autumn need a rich hair color, so choose a warm chestnut brown, chocolate tones and black, and blonde, Golden, copper and orange tones will look unnatural. Women winters recommend ashy dark blonde color. Bright, warm and Golden hues are not for them. They can safely afford and black. But it should be remembered that the skin of the brunettes have to be perfect, otherwise any defect will be clearly visible.